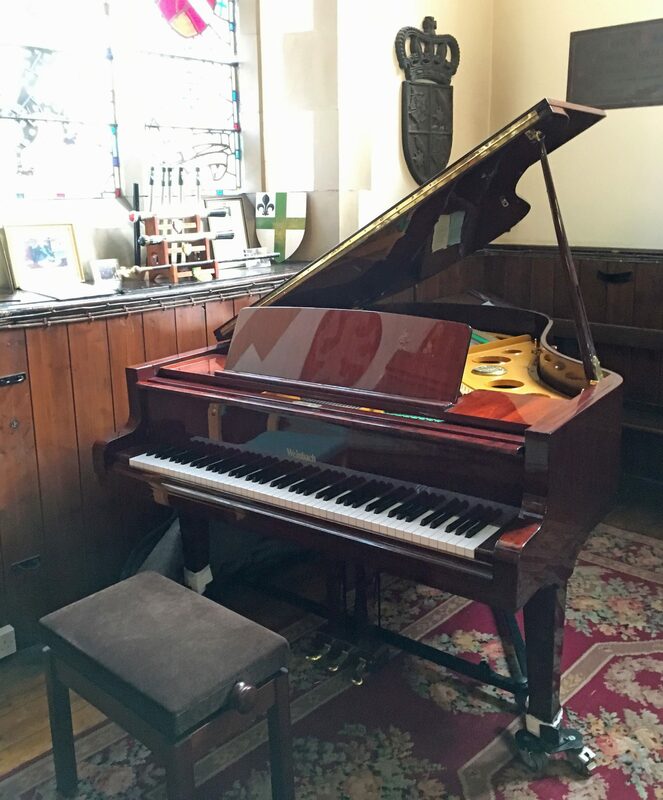 Our Weinbach Grand Piano – St Vincent's Chapel, Edinburgh, the village church in the heart of the city. St Vincent’s is proud to have purchased a new Weinbach grand piano in Spring 2016. The history of the Weinbach name dates back to 1887, when Gerhard Wein set up his original organ-making workshop in the Weinbach region of Germany. Before long he had taken on two assistants who had been apprenticed to pianomakers in Vienna, and who now turned their newly-won skills to their construction. By 1893 they were exclusively producing pianos. The factory prospered, and its reputation had spread across Europe and was beginning to expand into the American market. 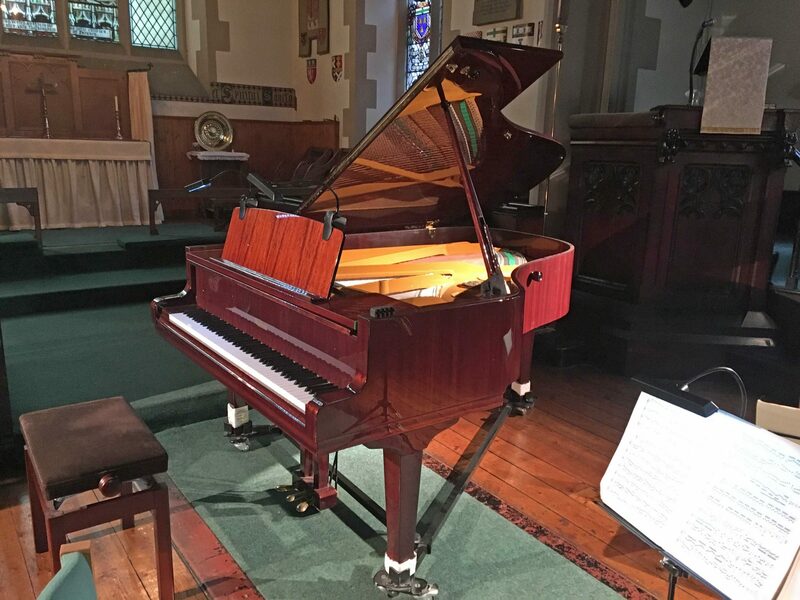 Both the founder’s sons and their descendants carried on their father’s successful work, and the Weinbach name, and the unmistakeable sound of Weinbach pianos, enjoy recognition to this day. 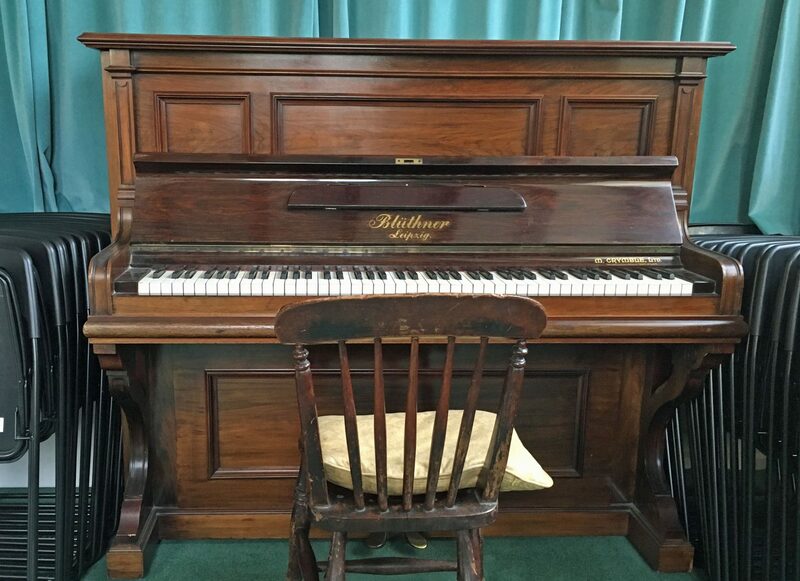 They are ideal for music schools, and experienced pianists will also appreciate their qualities. In 1956 PETROF took Weinbach into its portfolio, and now sells middle-range pianos under that name. Weinbach uprights and grands are designed by PETROF’s development department, and semi-finished in a leading Chinese piano factory in conformity with the technical documentation of PETROF’s Technology Centre, under the technical supervision of PETROF’s employees. Construction of the instruments is completed in the Czech Republic, being carried out with every possible care in the PETROF factory. Their sound and precise action will also appeal to experienced pianists. The construction of Weinbach pianos is based on that of PETROF instruments. This gives them extraordinary stability and a rich singing tone. Their stability and resilience make them especially suitable for intensive playing, for example in a church like St Vincent’s.